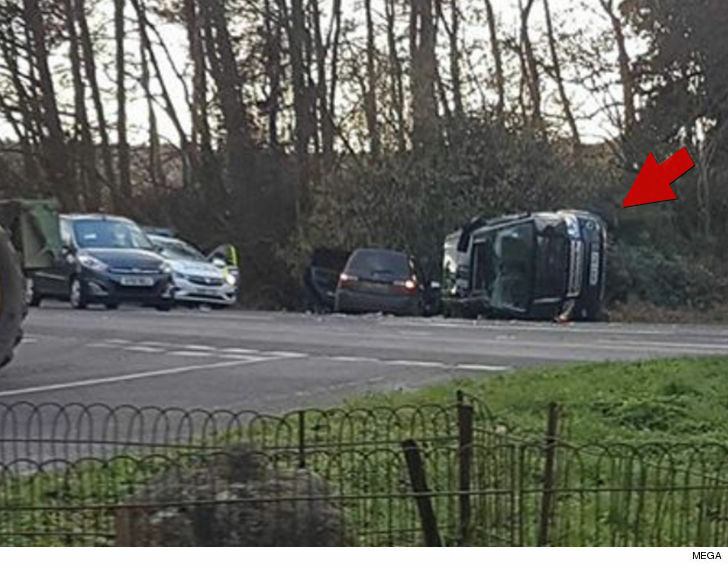 Yesterday, due to sun in his eyes while driving near the Sandringham Estate, Prince Philip caused an accident that flipped his SUV. When police arrived he and the other driver were both given breathalyzer tests which they both passed. The other driver suffered minor cuts and her passenger has an arm injury but they were treated and released by Queen Elizabeth Hospital. Buckingham Palace announced the Duke of Edinburgh was seen by a doctor as a precaution only as his doc confirmed Philip was not injured. Police reportedly responded to the scene just after 3 PM. As you can see, the crash left an SUV on its side … and that’s the one Philip was driving! His car might be totaled and scratched but this practical centenarian walked away without a SCRATCH! How?